Millions of buildings in the United States still contain asbestos and there are new products sold every day - brake pads, roofing and packing materials, floor tile. Contrary to popular misconception asbestos is not banned in the United States. And it is not just old "legacy" asbestos that is a problem. New products continue to be sold with asbestos. 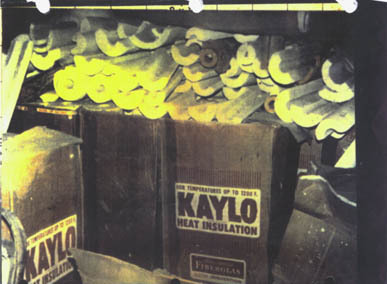 Many large corporations were involved in making and selling asbestos products. The industry has been very influential in preventing the banning of asbestos despite the health hazards they know the material poses. These are some of the corporations we typically target. Asbestos-containing products offered significant benefits not offered by substitute products. The court's decision effectively allowed any product that had included asbestos before 1989 to continue to be sold with asbestos. The EPA was allowed to prohibit the introduction of new products with asbestos. Click here for a breakdown of prohibited and authorized asbestos products. Despite the industry's triumph in court, public health officials are still trying to get the word out about the dangers of asbestos, and many regulatory agencies are doing their best to minimize further exposure to Americans. The production and use of asbestos-containing products are regulated by the EPA, the Occupational Safety and Health Association (OSHA) and the Department of Transportation (DOT). The EPA regulates air and water emissions from facilities which manufacture asbestos products and provides rules for the disposal of asbestos-containing waste. OSHA has established a health standard for workers with potential asbestos exposure and sets a stringent limit on airborne exposure. 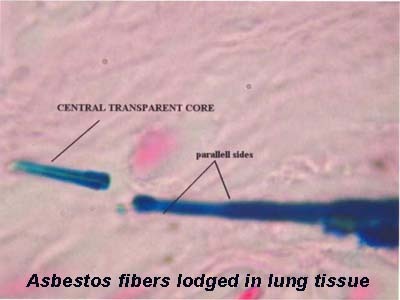 The DOT regulates the transport of asbestos. Even with these safeguards in place, asbestos continues to kill. (Click for close-up autopsy pictures of mesothelioma tumors. Warning: graphic material.) Mt. Sinai Medical Center in New York predicts that by 2030, more than 400,000 deaths will result from asbestos exposure – more than the number killed in World War II. Click here for an article on Mesothelioma: An Emerging Epidemic. Some countries have taken steps to ban asbestos. In the United States, however, it is legal to sell products with asbestos in them. Click here for a history of the EPA's attempt to ban asbestos.